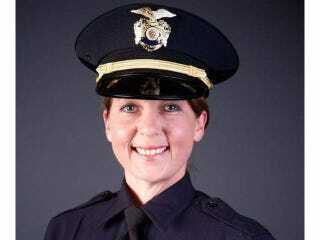 Tulsa, Okla., Police Officer Betty Shelby is back working a “desk job,” keeping the community safe, after killing an unarmed black motorist whose car had broken down on a highway late last year, the Associated Press reports. Shelby was acquitted of manslaughter earlier this month in the shooting death of Terence Crutcher. Shelby claimed that she had shot Crutcher out of fear, believing that he had a gun, when, in fact, he was unarmed and did not have a gun in his broken-down vehicle, either. On Friday it was announced that Shelby would be allowed to return to the police force for active duty, although it was stated that she “will not be assigned in a patrol capacity” ... because, you know, that makes everything better. On Tuesday, Shelby’s attorney Shannon McMurray confirmed that Shelby is working in an “administrative” role, although she declined to specify exactly what role, citing concern for the officer’s safety.